Battling Goliath received "Honorable Mention" for the prestigious ERIC HOFFER BOOK AWARD. This award "highlights salient writing" in honor of the American philosopher Eric Hoffer, and recognizes "writing of significant merit" over the past two years. The winning stories and essays are published in Best New Writing, and the book awards are covered in the US Review of Books. 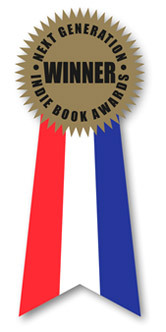 Battling Goliath has been honored as the WINNER in the "MEMOIRS (Historical/ Legacy/Career)" category of the 2012 Next Generation Indie Book Awards. The Next Generation Indie Book Awards was established to recognize and honor the most exceptional independently published books in various categories and is presented by the Independent Book Publishing Professionals Group in cooperation with Marilyn Allen of Allen O'Shea Literary Agency. 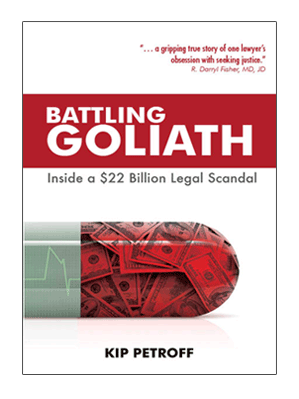 Battling Goliath was named a FINALIST for the prestigious MONTAIGNE MEDAL. This award, created in honor of the French philosopher Michel de Montaigne, is presented annually to the "most thought-provoking titles" that "either illuminate, progress, or redirect thought."